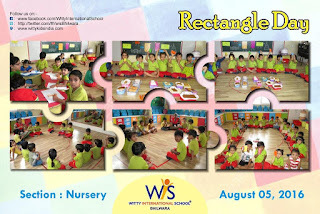 The little kids of Nursery celebrated Rectangle day on Friday, August 5, 2016 with exciting activities. The tiny tots brought rectangle shaped food items in their lunch box. They also did the rectangle art sheet. 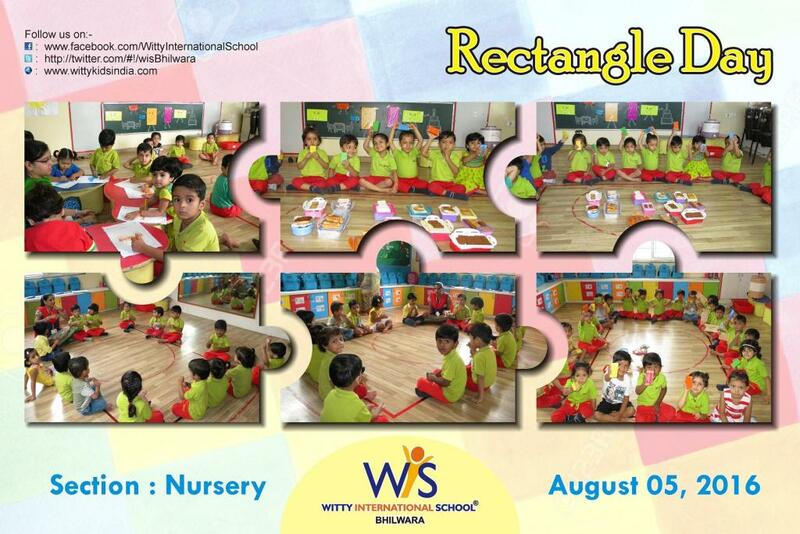 The rectangle day activity for little Wittians was a fun learning experience.